Here’s 8.1 tips to make Windows 8.1 less frustrating for a veteran PC user. You have new apps that can open this file (the one you just launched). If you click that tip, you’ll be able to choose a desktop program, and any future pictures you open will use it. But you must do this for every type of file. Even just for pictures, there’s a lot of different types (.gif, .jpg, .jpeg, .bmp, .raw, .png, and dozens more). Instead of setting each one individually, you can set them all at once by setting it per program instead of per file type. See Open Files on the Desktop for the 1-click method to set your default program for all photos at once. Because computer manufacturers bundle extra apps, many users are unaware that after Windows XP, Windows Vista was the last OS to come with a full email program. Windows 7 and 8 do not come with any successors to Windows Mail. 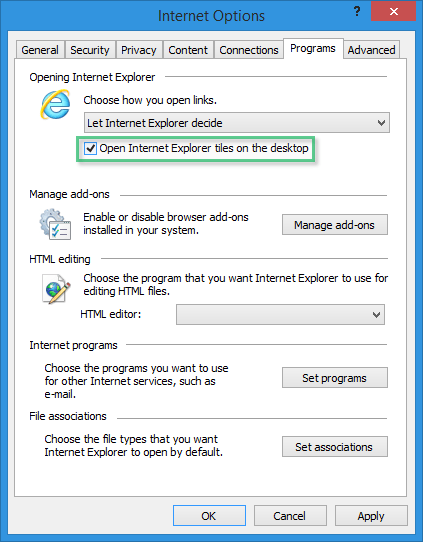 Instead, you can get it as an optional download from the Windows Essentials page. Windows 8 did later come with a bare-bones basic email app that you’ve probably discovered, but it’s designed for tablets/phones and light finger-friendly use. If you want something that compares to the Mail program and Outlook Express before it, you’re going to want to get the free Essentials download at that link. I use a mouse, open tiles on the desktop, please. Want to keep tabs on your Facebook, news feed, or email from the desktop without switching to an app or Start screen to look for updates? You can get desktop notifications without installing anything. 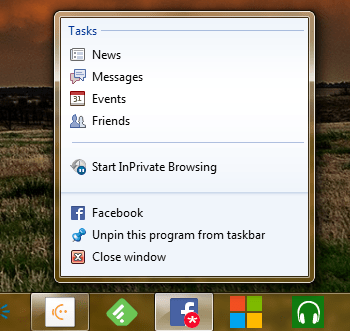 Open Facebook on the desktop Internet Explorer, then drag the tab all the way down and drop it on your Taskbar. It’s more than a bookmark, it provides ‘app-like’ functions such as notifying you when you get a new message or alert. Also try it with sites like Outlook.com, Gmail, and my site here at CmdrKeene.com. 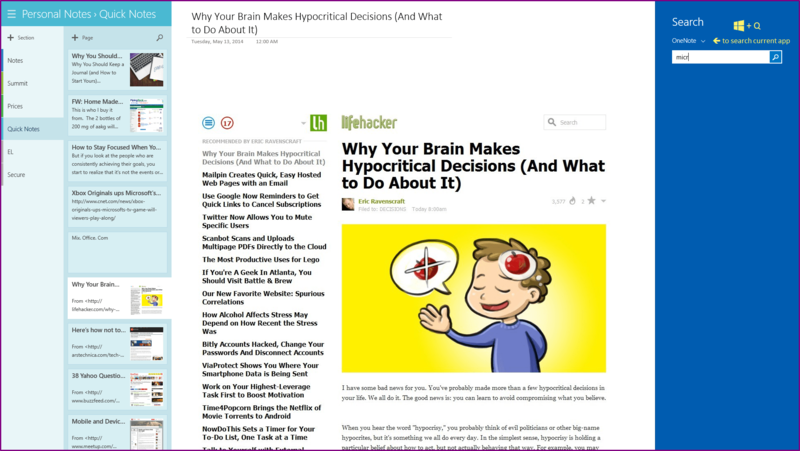 Draw a website tab to your taskbar to pin it there and get more than just a bookmark. Many sites such as Facebook here provide app-like functionality, without installing anything. Works on Windows 7 too. Website tabs aren’t the only thing you can pin to your taskbar. 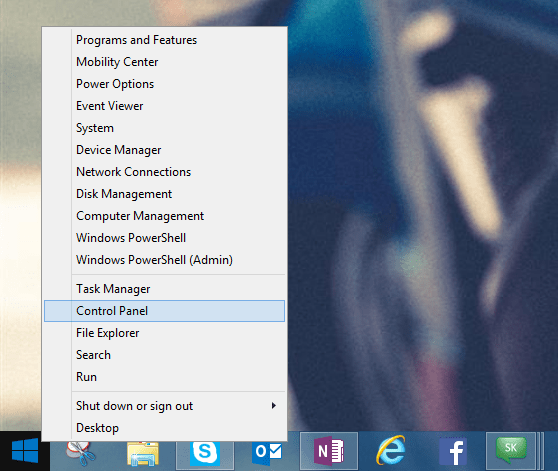 Drag any icon there, or right-click a tile on the Start screen and choose “Pin to Taskbar”. Now the app is always available from the desktop in a single click. Prefer a shortcut on your desktop instead? Right-click an icon and choose “Send to desktop (create shortcut)”. If it’s a tile, right-click, open file location, then use the create shortcut option on it. Start button to get there (plus shortcuts to other old gems like Mobility Center, Device Manager, Disk and Computer Management, and more. Right-click the Start button for all the old power user stuff that most folks never touch. +S to use a small search on the side without leaving the desktop, similar to the Windows Vista and Windows 7 Start menu search boxes. It even allows the special Ctrl-Shift-Enter trick to launch a found app as an administrator. +Q would search the active app (like OneNote or MetroTube). 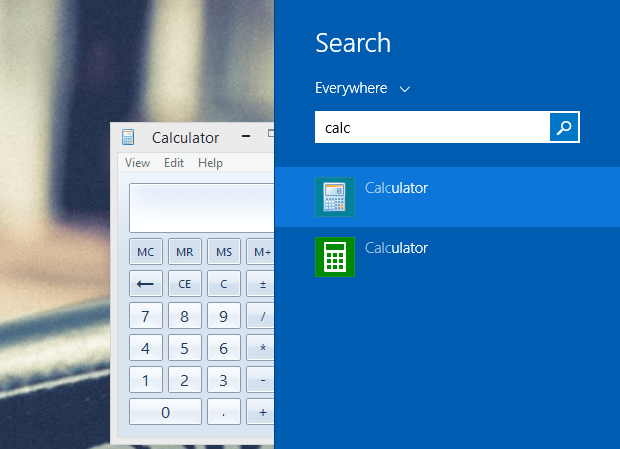 And if you do ever happen to leave the desktop, try Windows+Q to search the current app. +S search tip to find it. You can use this to open it on-demand, or throw in the pin tip to put a direct icon on your taskbar or desktop. The new ones with the flat & white icons are finger-friendly, but the old programs are still here too. Once you have made the tweaks and adjustments you like, I also recommending creating your own system refresh point so that if you ever need to refresh your system, all these changes will be preserved and you can avoid repeating the steps. 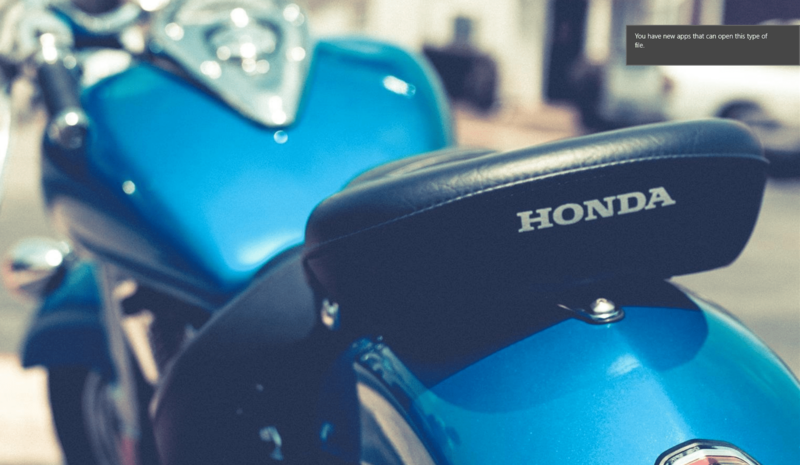 Check out the rest of the tips on the site and comment below which is your favorite so far.